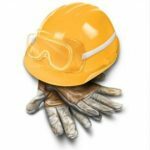 CSTS Construction Safety Training Systems is an effective, general construction safety awareness program for workers in the construction industry. CSTS is delivered in conjunction with the ACSA. The CSTS Course is divided into separate modules that can be completed at your own pace, and the full CSTS program takes on average five to six hours to complete. CSTS gives a basic overview of various health and safety topics. Having a CSTS ticket has become a pre-entry requirement for many construction industry work sites. A CSTS certificate must be produced in order to get access to many construction sites in Western Canada. Upon completion of this program, you will receive a wallet-size CSTS Ticket/Certificate, that will show prospective employers that you have the credentials. Employers may require confirmation of your Certificate. We keep your records on file permanently. Feel free to have your prospective employer contact METI to confirm your certification. 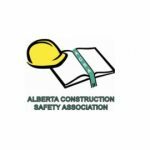 Alberta Flag Person Training – Alberta Flagger Training Back to our Safety Training.